American Summiter rescued from Kanchenjunga (from 20300ft)! – Summit Helicopters Pvt. 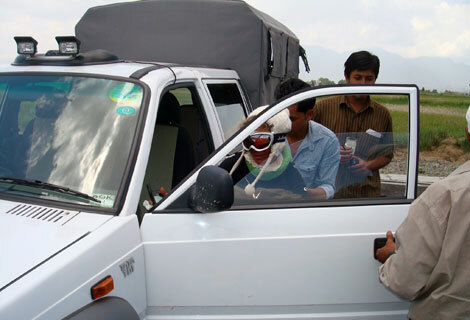 Ltd.
American Summiter rescued from Kanchenjunga (from 20300ft)! 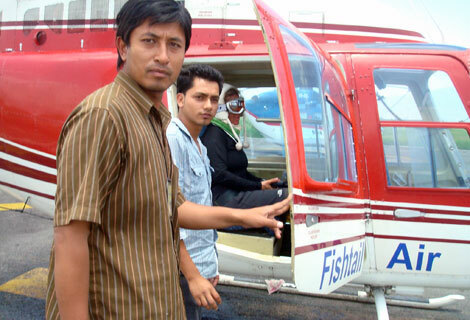 Fishtail Air was notified of a rescue mission at Kanchenjunga. Ms. Clu Wieblich from America was on her way back after her successful attempt at the summit when she could find her way back no more due to snow blindness. 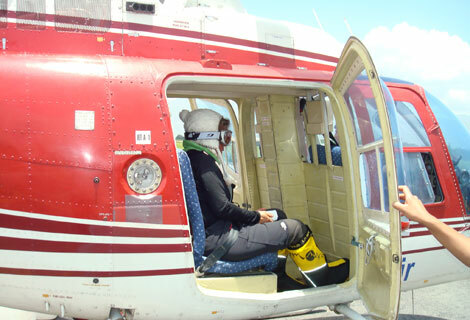 Our bird B3-AJI under command of Captain Deepak JB Rana and new team member Captain Lothar Hasler flew from Kathmandu to Lukla on the 21st of May with the ambition of heading towards the Kanchenjunga region from where the client was supposed to be rescued. However due to marginal weather they had to halt at Lukla for the night. On the 22nd of May they took off again from Lukla towards the Kanchenjunga (summit 8586 m) and overflew the region. They located the client during the overfly. Unfortunately as temperature rose which led to density variation which in turn leads to restrictions in the performance capabilities of the helicopter, our team had to discontinue the mission and fly back to Taplejung for the night. Early this morning,the 23rd of May Captain Lothar Hasler alone flew up to the Kanchenjunga and rescued Ms. Weiblich from about 20300ft and flew her To Lukla from where Swiss Captain Gregor Beer flew her to Kathmandu on our Bell JetRanger – AII. Fishtail Air wishes her the earliest recovery. Mt. Kanchenjunga in the Himalayan Range, is the third highest mountain in the world after Mount Everest and K2, with an elevation of 8,586 m (28,169 ft. Until 1852, Kangchenjunga was assumed to be the highest mountain in the world, but calculations made by the British Great Trigonometric Survey in 1849 came to the conclusion that Mount Everest (known as Peak XV at the time) was the highest and Kangchenjunga the third-highest. Kangchenjunga was first climbed on May 25, 1955 by Joe Brown and George Band, who were part of a British expedition. Posted in: Company News, Rescue Mission, Special Mission.